This page is my place to share the books I have read and enjoyed and also am currently reading. These are my indulgence…where I find inspiration…where I escape to…where I learn from. I did a post on my Word Journal ~ Discussing how I collect words woven in such a manner so as to capture my interest….or inspiration for my own writing. I’m also on Goodreads if you would like to join me there I would be honored. I always love to know what people are reading or what they may think on what I am reading. I haven’t really been updating this page. I have become a self-admitted book polygamist! Just finished “On Writing” by Stephen King. Excellent book! Did a quick review on Goodreads. I’ve also read a few other books, all the while making slow progress…or ‘savoring’ as I like to think of it….The Fitzgerald’s letters. Through his alcoholism and her mental illness, his career highs (and lows) and her institutional confinement, Scott and Zelda Fitzgerald’s devotion to each other endured for more than twenty-two years. 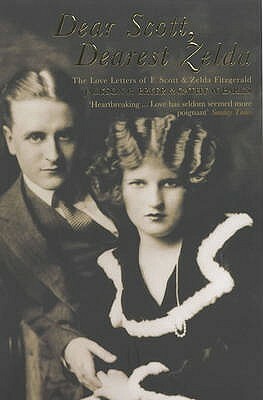 This book presents a collection of correspondence between Scott and Zelda Fitzgerald. My current read is a break from my expedition through 1920s Paris into the world(past) of a fellow writer and dear friend. I am currently about half way through, so will give one little sneak bit of my thoughts so far. Debby is a very talented writer quickly pulling you in with her well-written narrative and unique writer’s voice. I encourage you to read this for yourself. You won’t be disappointed! 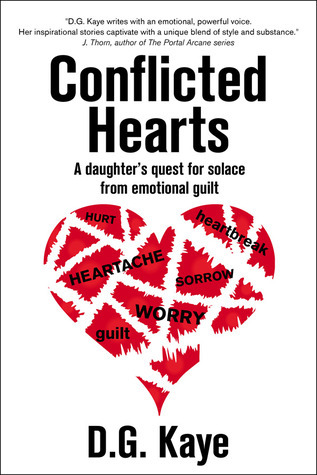 ~ Kaye writes in a way that the reader cannot help but feel a multitude of perspectives–observer, friend, confidant, and simultaneously a fellow champion throughout her trials and triumphs…her disappointments, her fighting for and achieving her dreams. We get to experience first-hand all these events, good or bad, that shaped her inherent character. We, too, become the friends with whom she shares her life, learned from and experienced adventures with. Each book in this literary expedition through 1920s Paris and beyond has been like fitting together puzzle pieces; it is utterly fascinating. I find with each completed, I am even more intrigued to read more and more. The Paris Wife was such an intimate look at the beginning of Hemingway’s marriage and literary career as well as the unending support from Hadley, his first wife. Hadley was the focus of this book and McLain wrote in such a manner so as to really give the reader incredible insight as to where her life began and how her experiences as a young wife, mother, and muse to Hemingway affected her throughout her time with him and after. I wrote a more thorough review on Goodreads to express my thoughts on McLain’s rendition of Hadley’s life before, during, and after her marriage to one of the most prominent authors of the Twentieth Century. 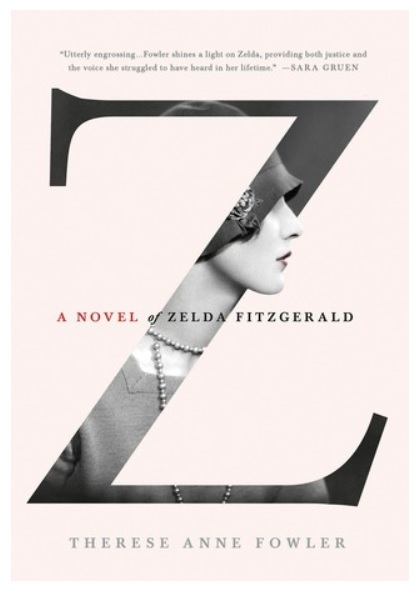 For information incase you’ve just stumbled upon this page ~ I began in January reading Z: A Novel of Zelda Fitzgerald. I then became so enamored with so very many of the famous people/writers/artists/musicians that intermingled in 1920’s Paris (and beyond) that I then began a quest to read as many books as I could relating to this time period…to these people. Having never read any of F. Scott Fitzgerald’s work prior to this, I was in for an exquisite treat! 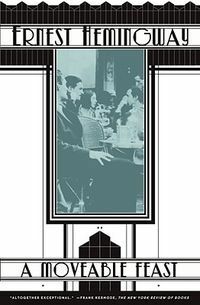 Now knowing much of what occurred in the lives of the Fitzgerald’s, I read The Great Gatsby, which I loved (see below) then Hemingway’s A Moveable Feast (see below) and finally just finished Tender is The Night, again by Fitzgerald. Armed with so much knowledge when I began to read Tender Is The Night gave an entirely new perspective to this fictional story…as much of it is based on a horrible time in his and Zelda’s lives. 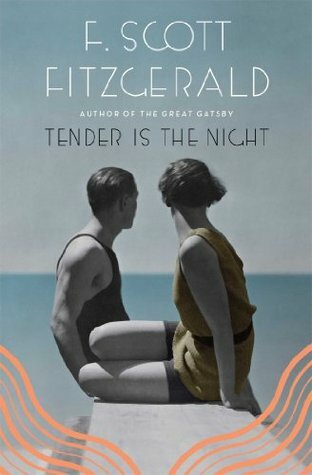 She spent almost two years in a Swiss sanatorium…during which they exchanged many letters and using all of that experience…Fitzgerald wrote Tender Is The Night. I love little pieces of information like the aforementioned that enhances a story…that adds to its affecting nature. 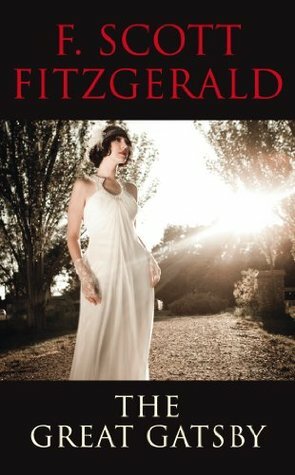 I would recommend to anyone that they gain at least some knowledge of the Fitzgerald’s lives before reading this particular book…as it will enrich the experience I am quite sure! My journey through the Jazz Age continues on…to read Hemingway’s thoughts on that time, his writing, and the people he encountered that influenced him as all people always do to each other was an utterly fascinating foray! His writing was raw and real and so endearing….I loved every moment…as if I, too, was in 1920s Paris. Since finishing Z: A Novel of Zelda Fitzgerald (see below), I am on to reading “The Great Gatsby“ by her husband the infamous F. Scott Fitzgerald. I am even more curious than I was previously to read this since having a glimpse into the Fitzgerald’s lives via ‘Z’ by Therese Anne Fowler. As with my thoughts below regarding Zelda’s story… I continue my foray into the Jazz Age and the literature that came from it. It would seem…I am truly captivated by this couple, their lives, their love…and of course the literary works associated with them. Update: Actually this is a pretty short book at 169 pages. Dense and brilliantly crafted! I am anticipatious to read all of F. Scott Fitzgerald’s work. I am utterly enamored with how masterfully he wields words. I will say I was lead to this one by Claire, a fellow WordPress blogger, whom I greatly admire. 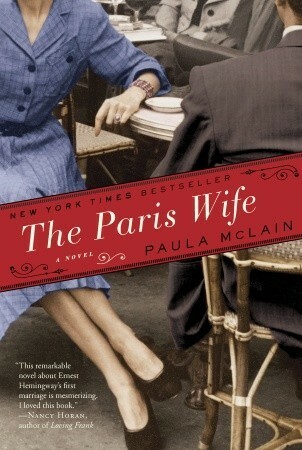 I began this as part of a series I plan to read…all of which intertwine and revolve around 1920s Paris. I am carried away by the romantic connotations of so many famous writers, painters, musicians, etc. who all intermingled here during this time. Zelda and Scott Fitzgerald, Ernest Hemingway, Gertrude Stein, Pablo Picasso, Cole Porter and so many many more. I have a list I am hoping to work through from each of the aforementioned. Different perspectives from the varied talent that intermingled in such an amazing time…in an even more incredible place. Thanks to many book shopping trips over the 2013 holiday season with our favorite intrepid book reviewer Ste J, I am armed with most from my wish list for this time period! One reviewer from The New York Times says this “Gabriel Garcia Marquez meets Umberto Eco meets Jorge Luis Borges for a sprawling magic show” I tend to not put a lot into the little blurbs, unless they are very unique and don’t fall back on the “tour de force” bit that has become all too common a phrase for just about any book nowadays. 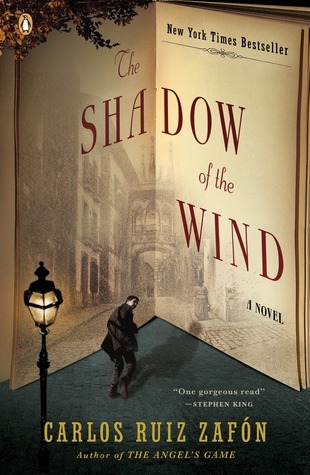 Stephen King says this about The Shadow of The Wind “One gorgeous read.” He is absolutely right! This has become one of my all time favorites. I will admit that I was hesistent to begin this after having recently read and fallen in love with Marquez’s prose. I was not disappointed…in fact any one who loves books, should read this…a.s.a.p.!! This was another recommendation by Claire (see why I so admire her?!) I really enjoyed Murakami’s style! 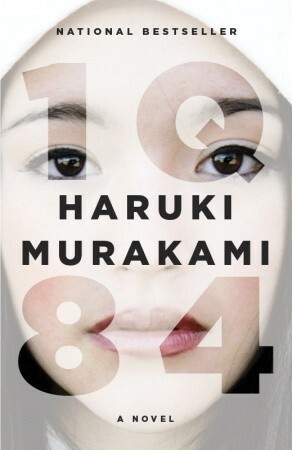 This being my first Murakami book I really just fell right in and enjoyed it immensely! So much so, I am most exceedingly anxious to read a few of his other books…Kafka On The Shore is at the top of my wish list at the moment. He will go about his story in such a way that pulls you right in and when you least expect it you’ll have read a sentence, paragraph or page full of thought-provoking and gorgeously sublime prose. 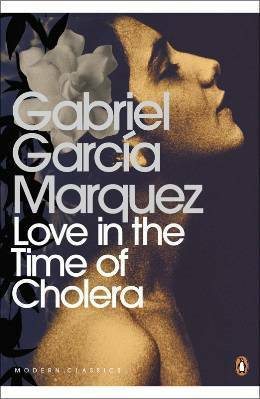 This was my first introduction to Gabriel Garcia Marquez and I fell in love…not only with this story but with his unique, beguiling, and absolutely gorgeous prose. This was a gift given last spring to me…that just keeps giving and all ways will. For what it is and what it represents. If you’ve never read Marquez…go now…read and thank me later! Some books are inexplicable…the effect they have on you I mean. This was one of those for me….one I shall never forget. This book was the impetus behind beginning a word journal…my reason for collecting rare and exotic words. Of all of these, the only one I have come into contact with is Love in the Time of Cholera. I agree with you, if you have never read it, go and do so. I am 66% of the way through, and I love it. It is one of the few books that I have read that is in this unique form. There are very few words spoken in this book, but they don’t need to be. The descriptiveness is perfection. There are a couple of bits that annoy me, but that is just my way of looking at it. When Marquez says things along the lines “when this happened in our country” “the storms our country knows” etc. Other than that though, it is a cracking book, and one I will be sad when I have finished it. Florentino Ariza and Fermina Daza have become like friends with how much we see in it. I’m so happy you are loving Marquez! He is genius to be sure. For what it’s worth…it’s been long past 6 months since I’ve finished it and I still think of the characters and their story…their love. I have finished the book, and it took me a while to start a new book, one because of time constraints, and two because it would seem like turning my back on them. I still talk about it in the way I have never spoken about a book. I think “Genius” is definitely the right word for him. It is a shame he died two days after I started the book. I will eventually get around to more of his works. “Experience” is the perfect word for him. I see things around and I see parts of the books. When I was in London with my daughter and we were on the underground, I nodded by way of pointing this old man out to her and said “see that guy in the white, with the white beard and hat, he reminds me Dr. Juvenal Urbino”, I was going to take a photo but she wouldn’t let me hehe. LOL! I could see why she might object 🙂 As for reading others before his…me too! Going to space them out and also space out the most famous/popular with the more obscure ones. 🙂 Happy reading! Good idea, I keep getting recommendations from people meaning my TBR list is growing hugely. My next book will be a paper one that my friend, Kellie, brought me for Christmas 2011 – Gardens of the Moon by Steven Erikson. It is the first in the Malazan series. She is a huge reader as well, and this series is her favourite. I am hoping to convince her to read Love in the Time of Cholera.